The three-day gathering, organized by the Israel Diamond Exchange, will take place at the Hilton Hotel in Tel Aviv, starting with committee meetings of the WFDB and IDMA on June 19. The first day of the Congress will also feature a tour of the Israel Diamond Exchange and will end with a cocktail event. The official opening of the Congress will take place on June 20, which will feature a keynote speech and guest speaker. Following separate WFDB and IDMA working sessions and a professional lecture, the day will conclude with a Gala Dinner. The final day will include a panel discussion and a professional lecture before concluding with a press conference. WFDB President Ernie Blom (pictured above) said the WFDB and IDMA will have a full agenda of issues relating to their organizations and the state of the global diamond industry. 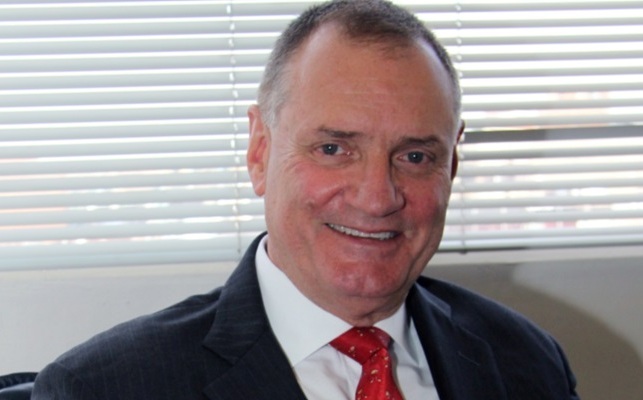 "The World Diamond Congress will again serve its crucial function as a forum for our bourse presidents and other exchange representatives to discuss issues that affect our membership," Blom said. "There are many issues to be tackled, and I look forward to extremely interesting and challenging discussions. "This Congress will be slightly different, with professional lectures and a joint panel discussion being held. I want to thank the Israel Diamond Exchange, and particularly its President Yoram Dvash, who is also WFDB Vice-President, for creating and leading a professional team that has put together an excellent program. It is crucial that our annual meetings, both the Congress and the Presidents Meeting, feature innovative features to bring added content and value." "There will also be social events for attendees and spouses. They play a special role in creating a perfect Congress atmosphere, and we are all looking forward to meeting colleagues and creating new industry relationships. I recommend that people begin the registration as soon as possible to ensure their place at the Congress," Blom concluded.